Hi my dear friend Stefanie ! What a superb B-Card you made for me .....Ultra Beautiful ! Thank You ! And all my AW friends that send me wishes ! 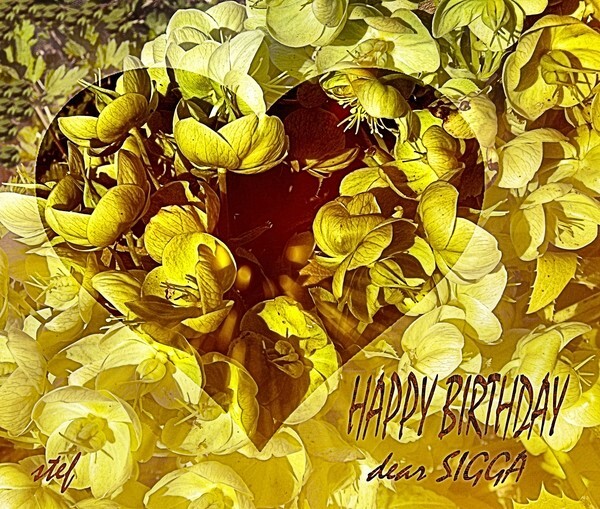 HAPPY BIRTHDAY SIGGA !all the best for you,wonderfull work and card,excellent work. What a wonderful Birthday Card, it's beautifully done !! Happy Birthday Sigga !! !